I hope you are all enjoying this lovely warm weather - and that you get to take some version of a Mountain Day if you didn't get to with Smith and Mount Holyoke this week. 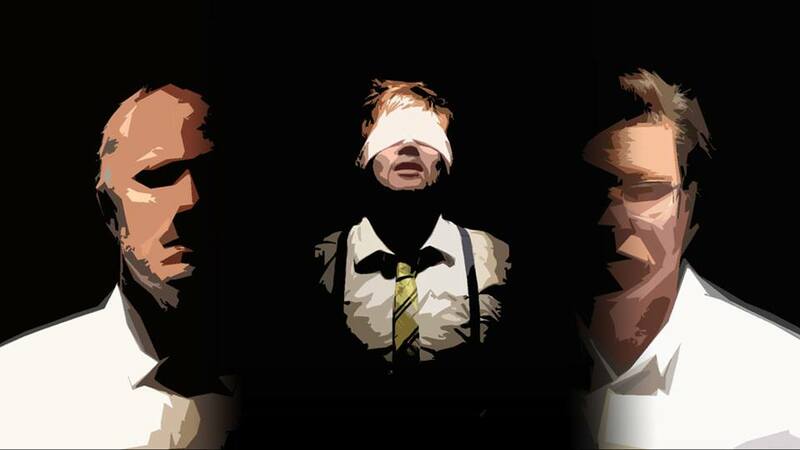 Tickets are available now for Ghost Light Theater's THE PILLOWMAN, which opens tomorrow night! Get yours by clicking the link with the image below. Last summer, I wrote a post for the Lilly Awards Blog about the huge gender gap in who’s winning the big money awards for emerging musical theatre writers. The article was written in the same vein as The Lilly’s/Dramatist Guild Fund’s The Count, stating the numbers and drawing a few conclusions about the data. White cisgender men are receiving a disproportionately high amount of funding early in their careers, which undoubtedly impacts the “pipeline” of who gets produced. 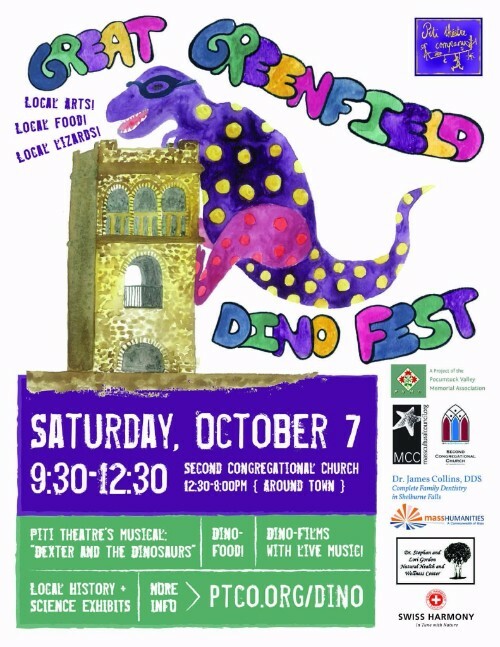 DinoFest, presented by Piti Theatre and PVMA, is a celebratory day of performances, food, activities for children, a panel discussion, chalk art, dino films with live music and more Saturday, October 7 starting at 9:30 am outside the Second Congregational Church on the Greenfield Town Common! 11:30 am: Panel Discussion at the Second Congregational Church about the Dexter and the Dinosaurs production, Deep Time/Local History, Dexter Marsh and his contemporaries and more! Featuring dinosaur, geology and local history experts as well as artists from Piti Theatre. 12:30 pm: Locally grown treats at your favorite Greenfield eatery! 7:00 pm: DinoMovies Through the Ages – a live musical multimedia event created by electronic musician Lysha Smith and featuring cellist Wayne Smith at 170 Main Street. SPACE IS LIMITED. RESERVATIONS RECOMMENDED. Email info”at”ptco.org with name and number of tix. There is no charge for reserving. This is a pay what you think it’s worth event (ie, you can choose what you’d like to pay after its over from $0 to . . . ?). If it sells out, we will schedule a second screening at 8:00 pm. 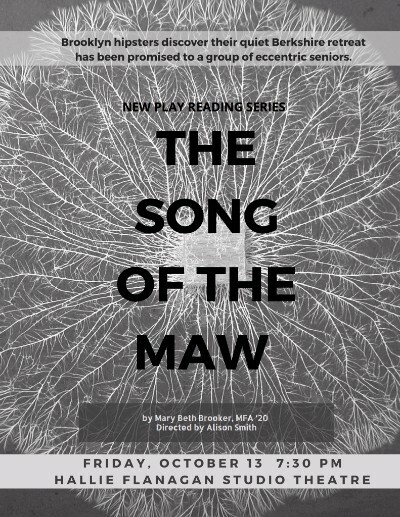 We're back for the second installment of our new monthly reading series at Gateway City Arts. This month we are featuring The Squad by Stephen Fruchtman. The Squad tells the story of an Inmate on death row seeking his desired form of penance for his crime, and the experiences of the men that have been tasked to execute him. 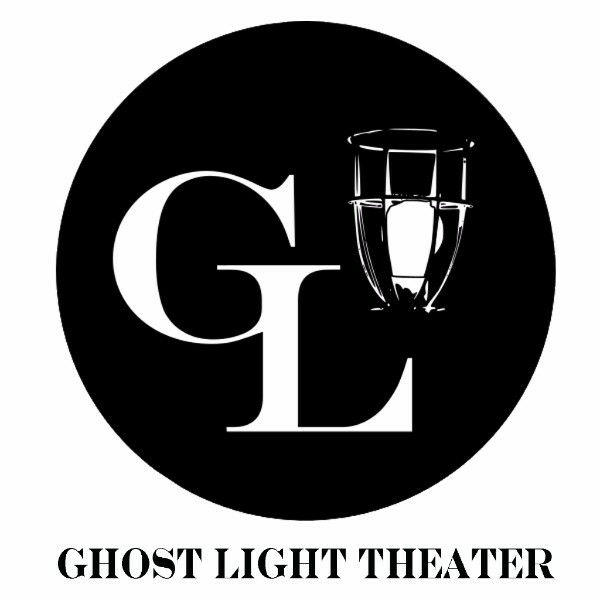 Wednesday Workshop is a new monthly reading series hosted by Ghost Light Theater and Gateway City Arts, presenting staged readings of local and new works to showcase the broad range of creative theatrical talents in the Valley. As well as a performance, the intention is to make Wednesday Workshop an opportunity for artists from our many communities to come together to meet and socialize. Join us every second Wednesday of the month. In the interest of making the event financially accessible, the series runs on a pay-what-you-will model with a suggested donation of $5. The donations will be split between Ghost Light and each month's featured author(s). Please also consider coming early to order dinner from The Bistro, to support our generous venue; food and drink from The Bistro can also be brought into the performance. After the show, The Bistro will be open for food, drinks, and socializing. Last month we all enjoyed the fresh air in the Beer Garden! Two sisters gaze across an endless stretch of barren desert at the El Shatt refugee camp in 1943, while a war rages across Europe. In the hollows of southern Appalachia, an idealistic guitar-strumming activist fights to preserve a way of life. On the streets of embattled Belgrade, a hustler struggles to survive in the underground markets of a desperate people. What binds them together? Where is home? When we cross borders, what do we become? 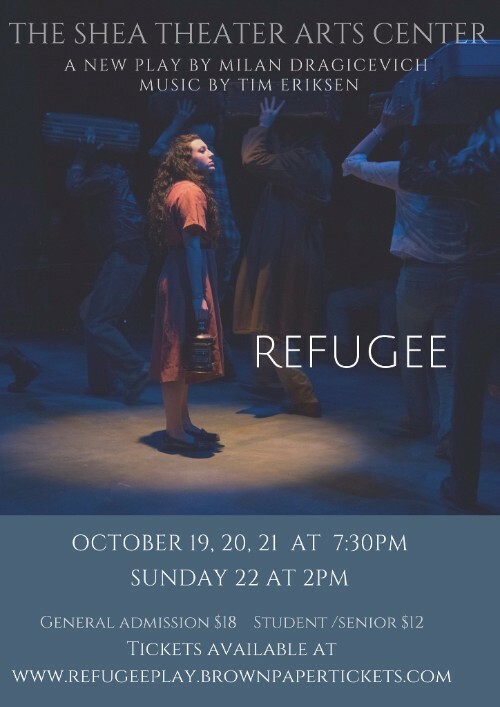 This new play with music jumps across time and place, with a multigenerational story of displacement, capricious destiny, and the search for identity. Regional artists are commissioned to create work within the theme of our inter-connection with one another and to the earth. 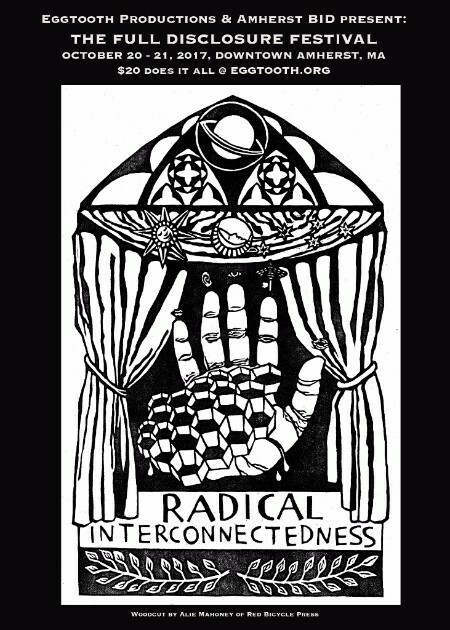 Art includes original dance, theater, sculpture, film, immersive theater, folk opera, music, spoken word, and a woven natural web of connection built on the Common. Conversations with thought leaders will be offered in nooks and crannies of local businesses including: State Rep Solomon Goldstein-Rose, Alice Nash, Mari Castañeda, Terry Jenoure, Salman Hameed, Monte Belmonte, & David Teeple. After being pestered by devils for more than half a year, Margery Kempe – new mother, mayor's daughter, and proprietress of a highly profitable beer business – is liberated from her torment by a vision of Jesus Christ in purple robes. Visions are hard to come by, even in 1401. Should we trust the new Margery, with her fasting and her weeping and her chastity fixation, or burn her with the other heretics? Can a woman of insatiable appetites just up and audition for sainthood? The Addams Family - America's darkest family, comes to life in this hilarious original musical about love, family, honesty and growing up. The Chicago Sun-Times had this to say about the Drama Desk, Outer Critics Circle and Drama League Award-winning adaptation - "Note to Broadway (and not for the first time): If you want to see how to make a musical really snap into place — how to connect with an audience in that uncanny way that is so crucial for success, how to delineate characters so that we cannot help but cheer for them, and how to turn every production number into a giddy explosion of song and dance — pay a visit..." to the Addams Family Musical. In the upside-down world of the Addams Family, to be sad is to be happy, to feel pain is to feel joy, and death and suffering are the stuff of their dreams. Nonetheless, this quirky family still has to deal with many of the same challenges faced by any other family, and the spookiest nightmare faced by every family creates the focus Lippa, Brickman, and Elice’s musical: the Addams kids are growing up. The Addamses have lived by their unique values for hundreds of years and Gomez and Morticia, the patriarch and matriarch of the clan, would be only too happy to continue living that way. Their dark, macabre, beloved daughter Wednesday, however, is now an eighteen year-old young woman who is ready for a life of her own. She has fallen in love with Lucas Beineke, a sweet, smart boy from a normal, respectable Ohio family — the most un-Addams sounding person one could be! And to make matters worse, she has invited the Beinekes to their home for dinner. In one fateful, hilarious night, secrets are disclosed, relationships are tested, and the Addams family must face up to the one horrible thing they’ve managed to avoid for generations: change. The Saturday October 28 and Sunday October 29 performances will be ASL (American Sign Language) interpreted. For those audience members who will be needing the interpreters they should sit on the left side of the house (section 3) if at all possible. Let's make your happy family HAPPIER! 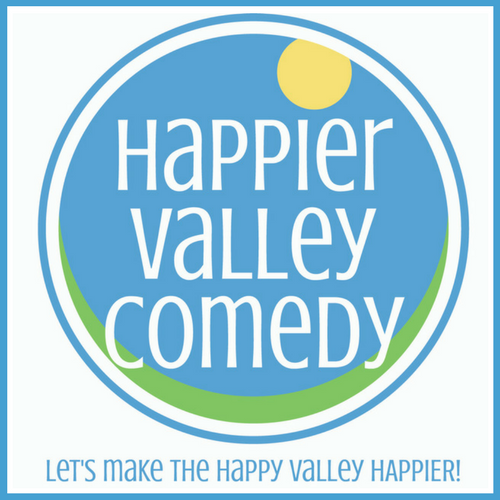 Join us at The Happier FAMILY Comedy Show! Tickets at the door*: $5 Kids (4 years+), $10 Adults, Kids 3 years and under are FREE! *Attendees do not need to purchase museum entrance. **Note: Museum members get a discount for Show tickets. 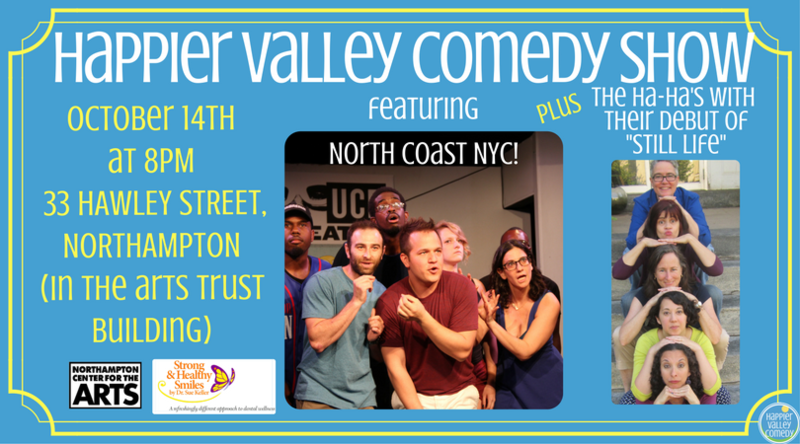 This month's show will benefit The Hitchcock Center! The Hitchcock Center’s unique programs for children, adults, and schoolteachers foster a greater awareness and understanding of the environment. Using the best practices of environmental education, we help an average of 8,200 people a year to develop the skills, aptitudes, and attitudes needed to care for our planet’s ecological systems and create environmentally sustainable communities. To find out more. We'll also have facepainting available at the show artfully applied by our good friend, Emma Rose Huse! 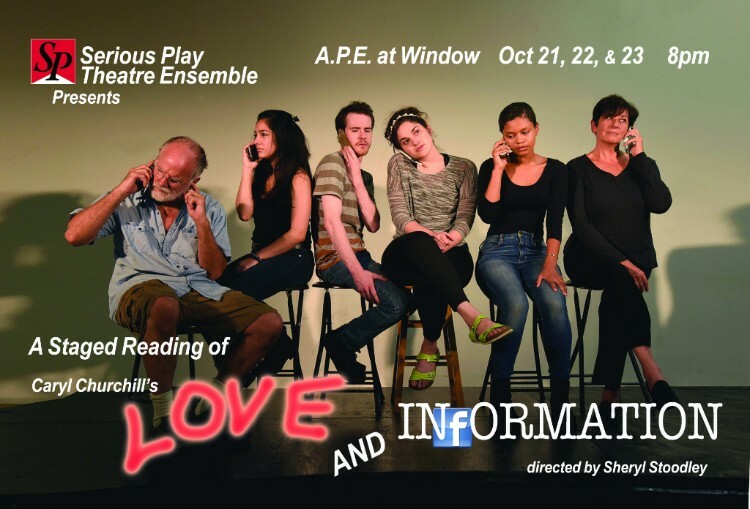 Originally produced at the Royal Court Theater in London, experimental British playwright Caryl Churchill's "Love and Information" ingeniously mirrors our age of splintered attention span. Each of the self-contained scenes, often seconds long and caught in mid conversation, deals with the ways we lust for, process, and reject knowledge. The play focuses on individuals trying to connect with, and understand each other in the 21st century. Each segment presents a situation likely to be familiar, and each seems as contemporary as cellphones and as eternal as humanity itself. The cast includes Natalie Djondo, Lisa Enzer, Nanette Mendeita, Dan Morbyrne, David Regan, Patrick Ryan, and Linda Tardif. The play is directed by Sheryl Stoodley with Stage Manager Gabe CiFuentes. 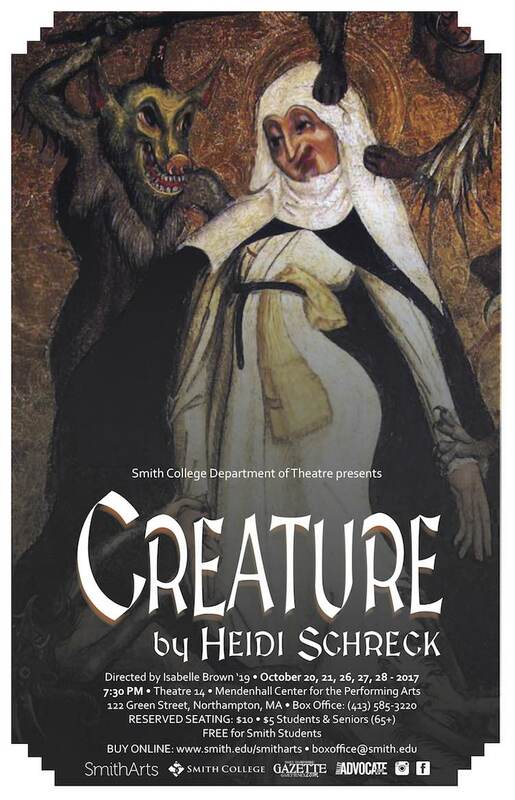 Many of the cast have previously worked with Serious Play, but included are some new faces of theatre students from Holyoke Community College, where Stoodley is a Theatre professor. This play is part of Serious Play's new Perspectives Through Performance initiative, a program designed to set up a cultural exchange between theatre performers in the U.S. and the U.K., particularly those involved with the Edinburgh Fringe Festival. Later this season, Serious Play will host Scottish actress and musician Mairi Campbell in her critically acclaimed one-woman performance, "Pulse". "Love and Information" will be the first performance from "across the pond." performed by Stephanie Carlson* and Lindel Hart under the direction of Ellen Kaplan. 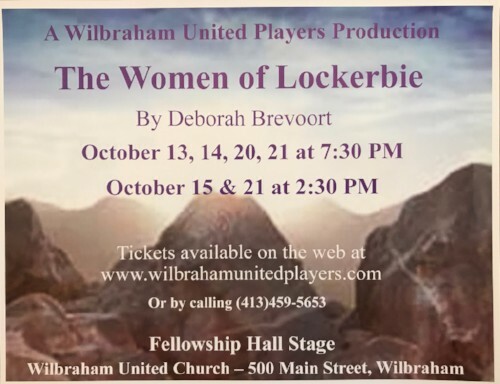 Curtain time is 7 pm in The Wheelhouse at Hawks & Reed Performing Arts Center, 289 Main Street, Greenfield. Seating is limited: tickets are available by calling 413-768-7514 or online at Eventbrite or www.silverthornetheater.org. "Duncan Macmillan's distinctive, off-kilter love story is brutally honest, funny, edgy and current. It gives voice to a generation for whom uncertainty is a way of life through two flawed, but deeply human, people who you don't always like but start to feel you might love." The Guardian. Plans are to move this play from the West End to New York, so this will be the last time it will be possible to see this important play for months or possibly years. Ms Carlson performs with permission of The Theatre Authority, Inc. This special one-time performance will benefit Silverthorne Theater Company's upcoming community event, Your Voice, Poet - a free public performance/ discussion featuring the play by Haitian playwright Jean Dany Joachim, winner of STC's 2016 Playwrights of Color competition. 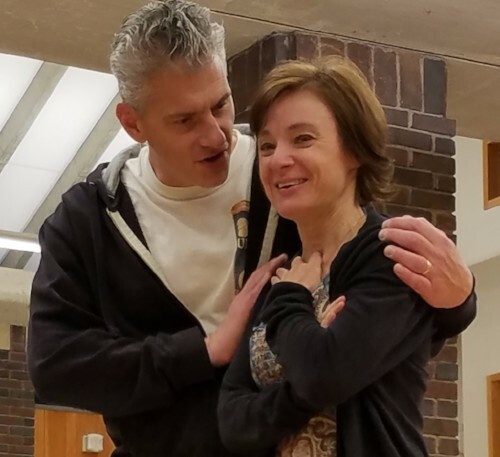 Your Voice, Poet, addresses the question of the function of art in a dysfunctional world, and will be performed at the Bing Arts Center in Springfield on November 25, and at the Hawks & Reed Performing Arts Center in Greenfield on November 26. This performance/discussion event is partially supported by MassHumanities. More information about this event. For more information or to apply, see the application. Audition Prep: No preparation necessary. Sides will be provided from the script.